We all feel better—and are better able to cope with busy lives and unexpected events—when we’re well rested. But sometimes even getting to bed early doesn't give you the relief you’re looking for after a long day. Your bed may actually be what’s keeping you up at night and leaving you with back pain and fatigue during the day. More than a third of American adults are not getting enough sleep on a regular basis, according to a new study in the Centers for Disease Control and Prevention’s (CDC) Morbidity and Mortality Weekly Report. 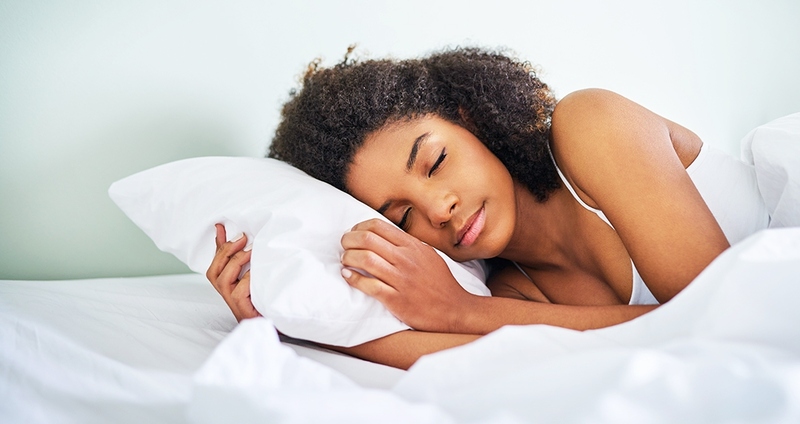 * For many of them, buying a new mattress could be the answer to getting more shut-eye. If you often wake up tired and stiff, it’s possible your mattress is to blame. Generally, if peaks, valleys or lumps have formed, or if the mattress creaks, has springs sticking out, is more than 10 years old, or is hurting your body, it’s probably time for a new one. Also, if your body has really changed due to age or weight gain, you might want to consider whether your bed is still working for you. When you decide to take the new-bed plunge, how do you know what to choose? “I recommend a firm foundation with a soft layer on top,” says Karen Lackritz, a Rolfer and yoga instructor in Eugene, Oregon. “Think about your bed like it’s your yoga mat at night—if it’s too firm or too soft, you can’t contour your body the way you like.” Ultimately, the best rule of thumb is that the right bed for you is the one that you find the most comfortable. When shopping for a bed, lie down on a variety of styles. If you have a partner, bring him or her along. Spend a good 10 minutes on each bed and get into your usual sleeping position. Find a mattress that supports your spine at all points while allowing it to maintain its natural curves. Then educate yourself on the materials and construction used to build the mattress. Ask how long it should last. Most of all, be sure you like it—remember, you spend a third of your life sleeping. Once you’ve got a comfy bed, you may want to concentrate on how you sleep in it. According to most experts, the best position is on your back, which allows your body to elongate and keeps your neck in the most neutral posture. Choose a firm pillow if you sleep on your side, a medium one if you snooze on your back, and a soft one if you slumber on your tummy, keeping your neck properly aligned so you wake up refreshed and ready to face the new day.